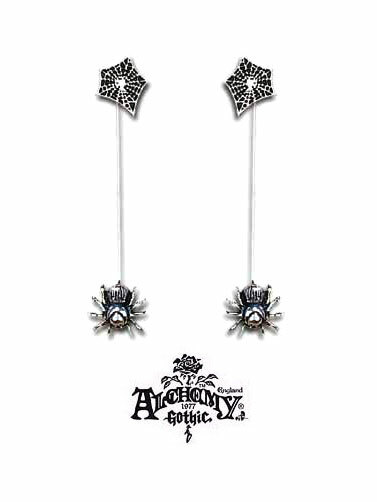 Alchemy Gothic™ Black Widow Earrings are Victorian styled earrings that feature a spiders web, with a spider descending on a silver thread. Handcrafted in pewter by artisans from Alchemy of England. For pierced ears. Often sold as singles, we offer these as a pair.